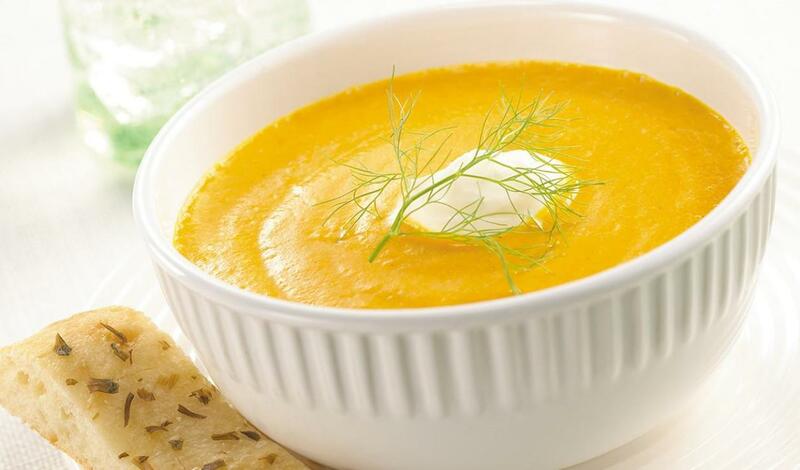 Tender carrots are blended with ginger, cumin, mustard, nutmeg and cinnamon for a perfectly spiced soup. Heat oil in a large stockpot over medium heat. Add onion and spices; sauté 2 minutes. Add carrots and prepared Knorr® Low-Sodium Vegetarian Vegetable Base. Bring to a boil, reduce heat and simmer, partially covered, 30 minutes or until carrots are tender. Let soup cool slightly. Place carrot mixture in a blender or food processor and blend until smooth. Return pureed mixture to pan, stir in prepared LeGout® Cream Soup Base. Adjust seasoning and consistency. Serve hot.